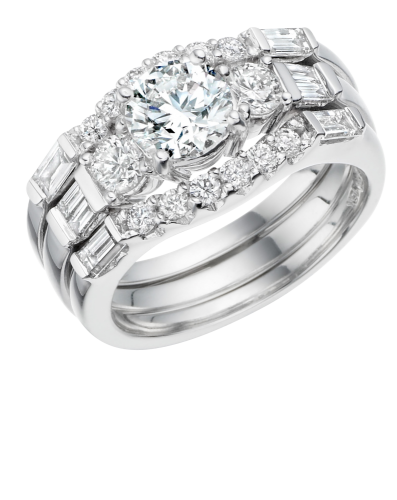 Chunky White Gold Diamond Band with 4 rows of diamonds. 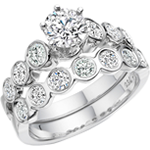 A chunky white gold diamond band looks great as a right hand ring or as an alternative wedding ring. 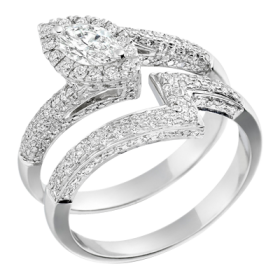 This 18ct white gold diamond ring is set with round brilliant cut diamonds. 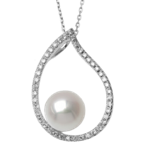 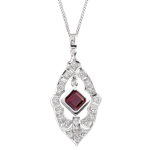 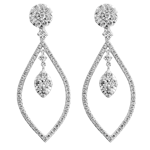 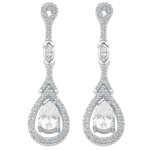 The larger stones are bezel set and the smaller diamonds are pave set. 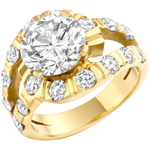 The variety of stone setting in this diamond ring creates even more detail. 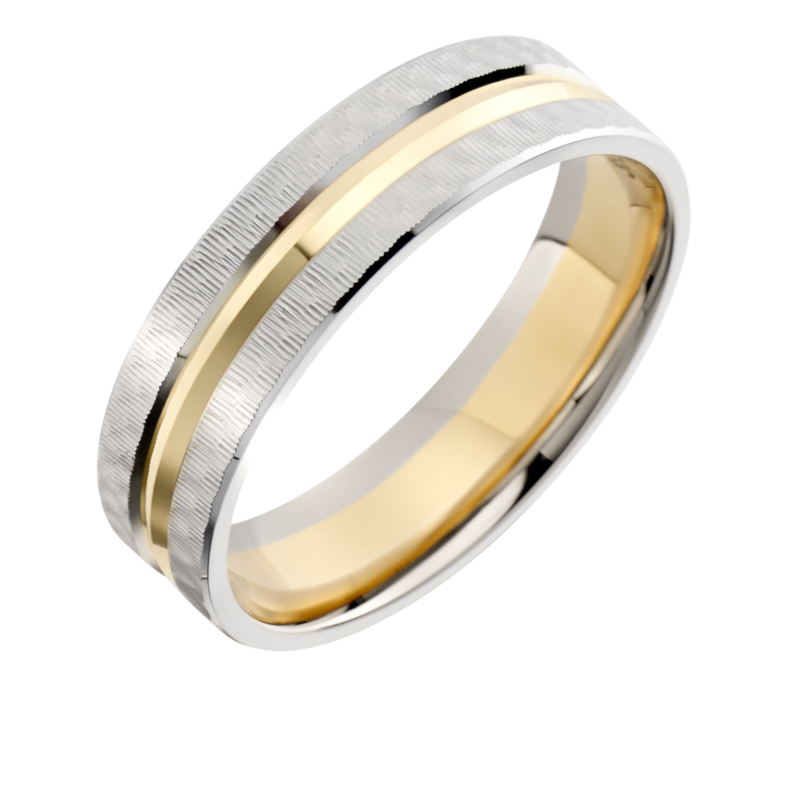 The 4 bands also work very well as they make a broad ring without making it too masculine looking. 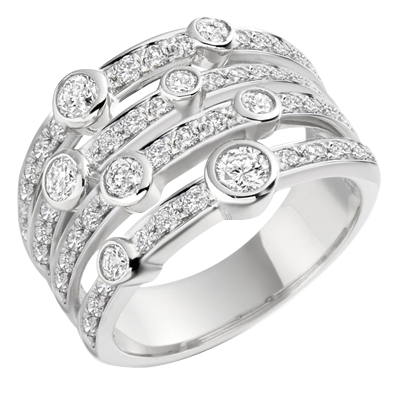 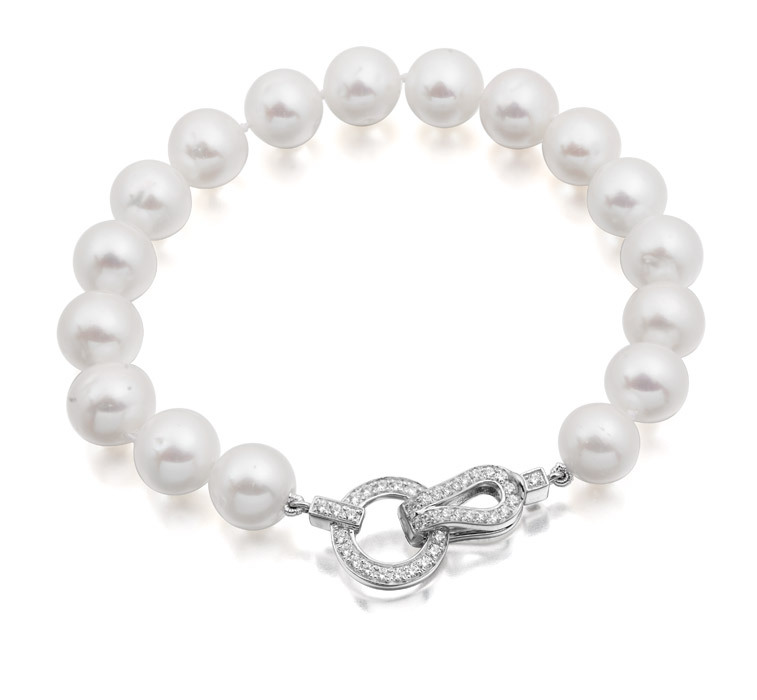 As a modern diamond ring this chunky white gold band is is a wonderful choice. 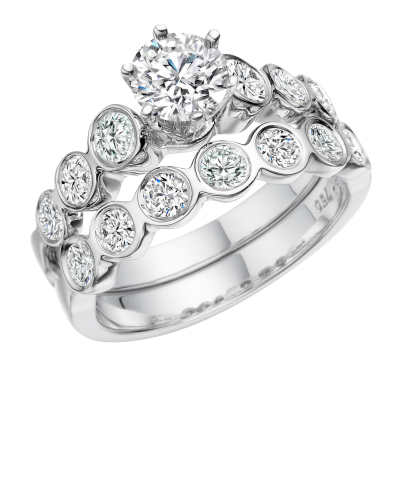 Inspired by the famous Boodles Diamond Band it makes a great dress ring for those who don’t like the cluster style rings or vintage inspired diamond rings. 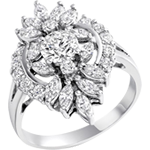 This chunky white gold diamond ring can be a is also great for the alternative bride. 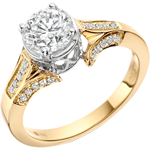 Sometimes brides don’t want to opt for the traditional engagement and wedding ring option. 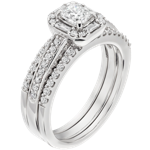 They simply want a diamond band which is impressive enough to work as a stand alone ring to signify there martial status and long term commitment to a loved one.